JONESBORO— An Arkansas State University department chair announced his retirement after 30 years with the institution. Osabuohien Amienyi became chair of the department of media in 2007. For the first 18 years of his career, he taught classes including TV Production, Communication Research and Theory of Mass Communication. 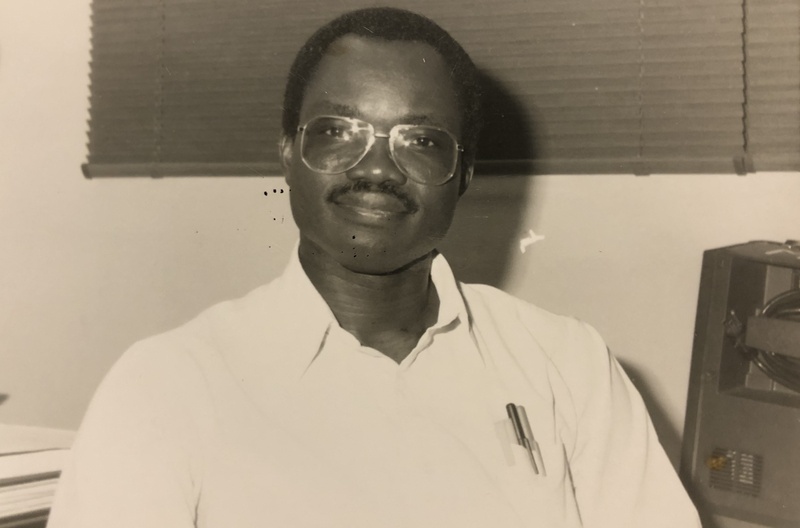 Amienyi also served as head of the Faculty Senate and dean of the Department of Communication. Born in Nigeria, he produced films and did videography there. After moving to the United States, he earned a bachelor’s degree from Tennessee State University, a master’s degree from Northern Illinois University and a doctorate from Bowling Green State University. His teaching specialties include video production, media management, international communication, communication theory and research. He has worked in radio and TV, while also being a published author. “He is supportive, patient, kind and he sees every moment as an opportunity to teach. He truly cares about his students, faculty and staff. He is an inspiration and he will be missed,” Kimberly McDaniel said. McDaniel, the media department’s administrative specialist, works closely with Amienyi and schedules all his appointments. McDaniel began working with him a year ago. She said he is a wonderful boss. She is sad to see him go and wishes him the best of luck in retirement. More than an academic, Amienyi enjoys helping others and serves on the board of directors for Jonesboro’s Rotary Club. He joined the club in 2007. Lisa Golden, president of the Jonesboro Rotary Club, met Amienyi when she transferred to Jonesboro in 2014. She said she always looks forward to seeing him every week. “He is one of the nicest, energetic and most friendly people I’ve ever met. He is quick to laugh and great to work with,” she said. He takes most of the photos for their meetings. Golden also said he is very active in the organization. He attends meetings and is currently involved in some of their ongoing projects. Soccer is a big part of Amienyi’s life, as well. He could talk all day about his favorite sport. He learned to play the game at a young age. There weren’t many sports in Nigeria when he was growing up. He said it was something everyone played. Soccer was like a religion to them. In Nigeria, he lived about three-to-four miles from the soccer stadium. He could hear the cheers from the crowd at his house. He also listened to the games on the radio. This is what sparked his interest in broadcasting. 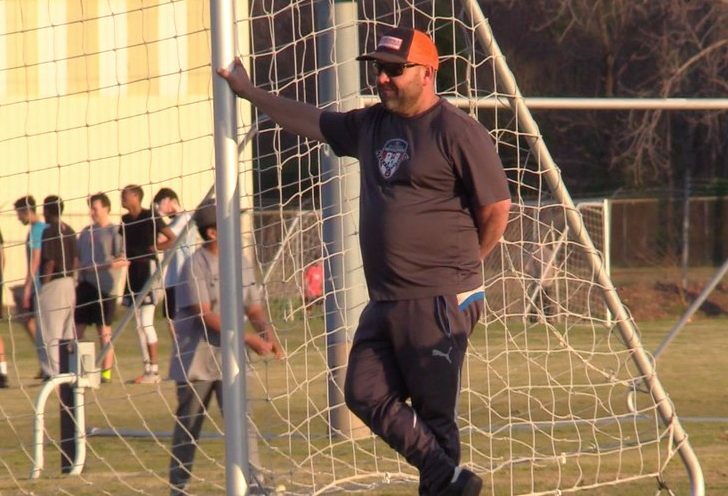 He coaches in the Jonesboro Youth Soccer Program. Amienyi said there is a joke around the college that soccer is his full-time job and everything else he does is just for fun. He enjoys teaching young children about the game he loves. He has been coaching in the United States since 1990 after his eldest son joined the program. He called soccer a thinking person’s game, as it’s all about problem-solving. Sometimes a person will have to try three or four different strategies before a move is successful. He is currently working with his youngest son, who hopes to play professionally one day. Amienyi said it has been a long journey and he is excited about retirement. He’s not sure where he plans on moving yet, but everything else he has figured out. He wants to start his own soccer school where he will take 10-12 kids at a time and teach them the game. He also wants to focus more on research and even hopes to write some children’s books. He plans on spending more time with his family as well. 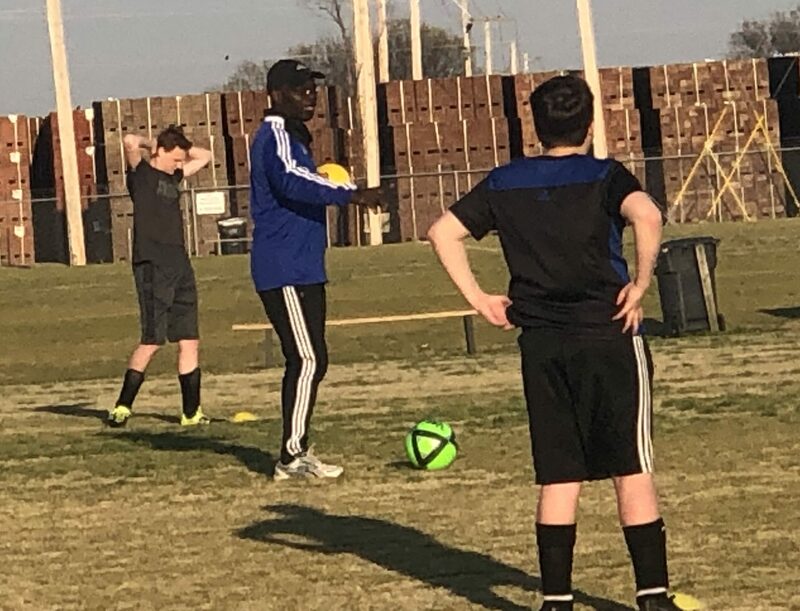 Assistant soccer coach Welby Young met Amienyi in 2015. The two have been coaching together since. Young has great respect for Amienyi. Amienyi said his favorite memory of A-State is being able to do the things he loves. He said he is leaving the department better than when he inherited it. He helped obtain more labs for media students. He was a part of creating Red Wolf Radio and Delta Digital News Service. He said he has enjoyed his time at A-State, and he will miss working with the students. He enjoyed seeing them develop themselves. Amienyi’s father use to say, “Always listen to the voice of experience.” This has stuck with him. He said often times people talk too much and don’t take the time to listen. He keeps an open mind and tries not to judge people. These are the keys to his success. He would often be asked how long he planned to stay at A-State. He said he would give people what he thought to be a philosophical answer. He said there will come a day when he would outgrow the university, or the university would outgrow him.